Ask any executive about how hectic their business travel schedule can be. From important meetings abroad to national roadshows, it can be a grueling task to coordinate an entire itinerary. Executives expect a smooth, comfortable and safe trip to any given destination. They often rely on expert ground transportation companies to make sure that their travel is easy and stress-free. If you are considering hiring a corporate ground transportation company, here are five reasons many executives choose to have these travel services at their fingertips. When it comes to choosing corporate ground transportation, executives rely on the experience and knowledge of experts in the corporate ground transportation business. Your needs should always be a priority. A competent ground transportation company should understand that not every client is the same and they may require customized service for a unique travel situation. The company you choose should be able to accommodate you and make suggestions to ensure your travel experience a positive one. Having knowledgeable consultants and logistics experts should be available to assist you 24/7 and be committed to a high level of customer service. 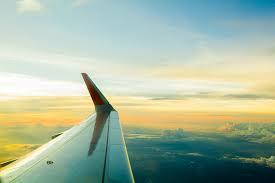 Executives expect a corporate ground transportation company to ensure that their travel is as stress-free as possible. You should have access to online reservations which make booking travel even more convenient for those with busy schedules. Customized online booking tools are a hassle-free and easy way to make a reservation at any time you need. Once your reservation is booked, an instant confirmation is sent. A good executive ground transportation service also should be able to provide you with 24/7 access to speak with a live representative. This is especially helpful if you have any questions about your online reservation. Executives count on receiving personalized service and want to deal with a company that understands that their time is important to them. Everyone intends to get the best value and service, of course, but if a company’s pricing seems very low, you probably aren’t getting the attention to detail that is needed for a smooth transportation experience. All corporate transportation companies should be committed to their client’s safety, and if a problem should arise, they ought to be able to provide the best solution to fit your needs. A dependable executive ground transportation company should always be mindful of your schedule. Being available to a client 24/7, including holidays, is critical to a traveling executive. You should always have access to a live person who is an expert in the industry and be provided with service that is tailored to your specific travel needs. Whatever your travel itinerary entails, having an executive ground transportation company that is reliable and understands your needs is invaluable. Whether you need transportation to roadshows and meetings or a private aircraft charter, Avstar is always ready to help. For more information or to book a reservation, let us assist you with all of your executive air and ground transportation needs.